First-class protein-carbohydrate gainer support building muscle mass. Effectively supports the rapid development of muscles! 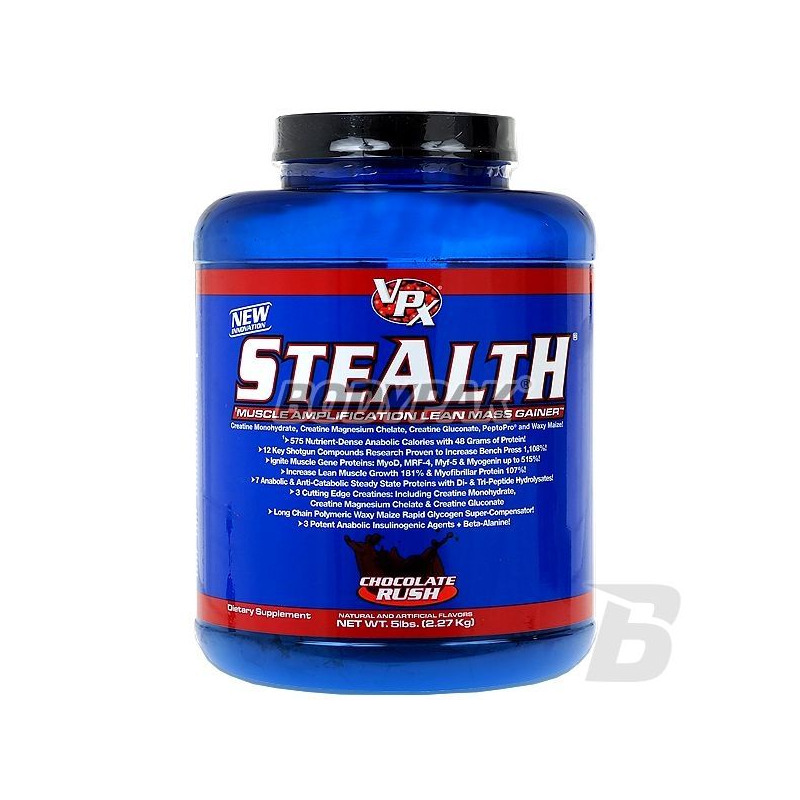 VPX Stealth - the highest class of protein-carbohydrate gainer support building muscle mass. 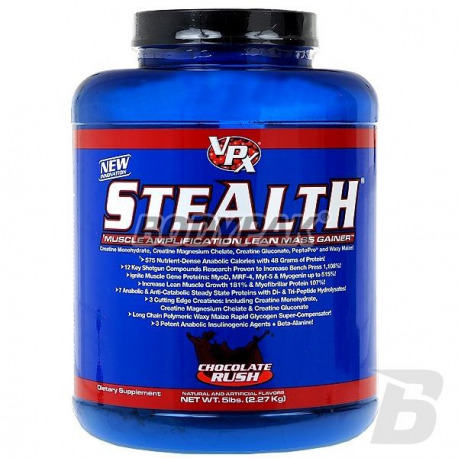 We assure you that we will get this nutrient in the tastes of the most demanding customers. Includes various varieties of creatine in a dose of 6 grams per serving, beta-alanine, vanadium, carbohydrates with different absorption, 7 variety of proteins, each providing a continuous supply of amino acids in the body and healthy fats. Our suplementowi diet will achieve the best results of strength and weight gain. Superb conditioner weight, which not only tastes great but allows rapid growth of body weight! High-quality protein and carbohydrates in each serving! It does not contain aspartame.